Rhody the Ram is undoubtedly the most iconic figure at the University of Rhode Island. Every student learns his name when they first start school, and they remember him for the rest of their lives. But only some students get the right to experience being Rhody. This year, only one student is returning as the mascot. As the years go by, this Rhody appreciates his role more and more. As the mascot, it is expected that you keep the crowd entertained, which can often feel like a lot of pressure. But this particular Rhody is very outgoing. “I was voted most talkative in high school,” he told me. 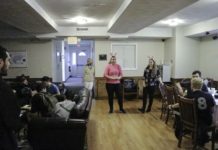 “I have always loved interacting with people, and doing it as Rhody makes it even more fun.” What job could be more enjoyable for someone who loves to make others smile? Rhody can be seen at a variety of sports events at URI, such as football, basketball and, just recently, volleyball. For Rhody, the more sports he can support, the better. And as the only returning mascot, he will get first picks on the games he would like to attend, whether at home or away. He understands it is more than wearing the suit and appearing at the games. “It’s a responsibility, no matter how hot it is in that suit,” he joked. “It’s my job to go out there and make everyone smile, and to do that you just have to be goofy.” His favorite people to entertain are the kids, as they find the most joy in the mascots at the games. It’s not only smiles that Rhody likes to evoke amongst the fans. He wants everybody to be pumped up as well, ready to support the team. “I walk to the games with my headphones in so I can psych myself up. If I don’t have that energy going in, it’s much harder to get the crowd to feel the same.” Rhody has gone the extra step at times by rehearsing dances, which were put on display this weekend at the football game against Elon. Rhody has known for a long time that this is the perfect job for him. 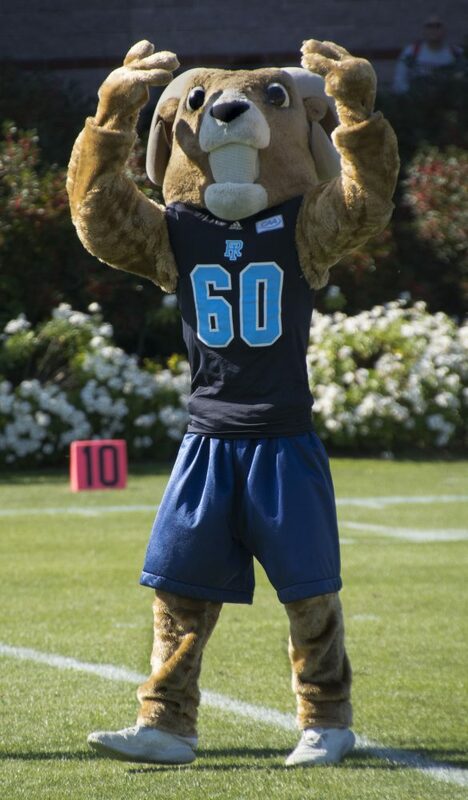 “I learned from other mascots, and I love the way they set the mood and interact with the fans.” How could you not be excited when your team is playing and Rhody the Ram is dancing down on the field? “It’s all about playing the part and being responsible, because nothing beats the reactions you get from the crowd,” Rhody said. In order to keep the Rhody magic alive, the man inside the suit asked to have his name withheld from this article.